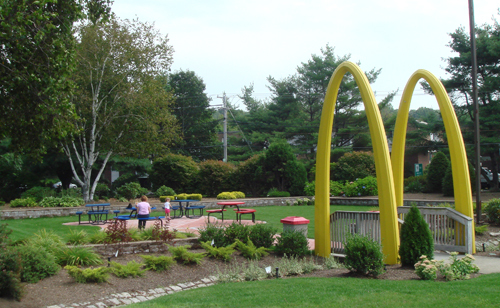 You’d never guess by looking at this picnic area that this used to be one of the best McDonald’s Playlands around. 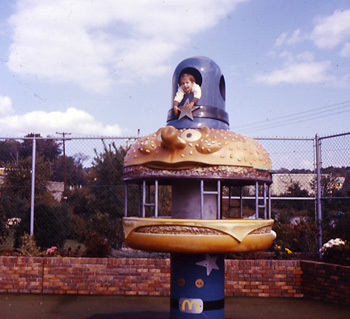 This Westboro location had it all: hot metal slides, merry-go-rounds that taught kids about centrifugal force the hard way, the safe-haven of the Mayor McCheese tower which left parents powerless upon claiming their children. Why would such a fantasy playground be destroyed?? I forget when it happened but it was transformed into some sort of padded cell nerfland with “safer” activities and they cut the size in half. This past year the kicked it up a notch and got rid of any enjoyment for kids and put the 4 tables and a trashcan that you see above. I’m all for kids being safe but I (or anyone I knew) never got hurt playing at the old playland and it makes me feel bad for my nephew who will never know how great this place was. 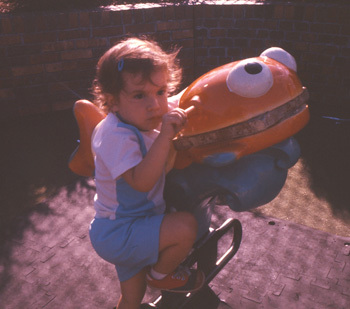 Some photos of my cousins, sister and I have one of our usual awesome afternoons at the original Westboro playland. I had one of my birthday parties there in the 70’s. By far the best party ever! 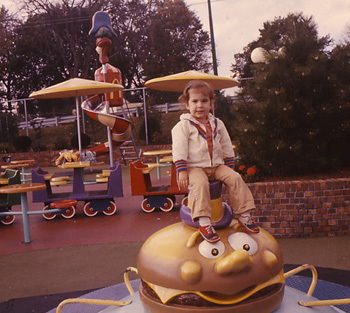 I love your photos…the Mayor McCheese(?) one specifically. I loved climbing in that! McBoring is definitely the word for it!! My kids loved going there when they were little. It was awesome and like you said, I don’t remember anyone getting hurt. I think the world’s gone sue crazy!! Thanks so much for those! 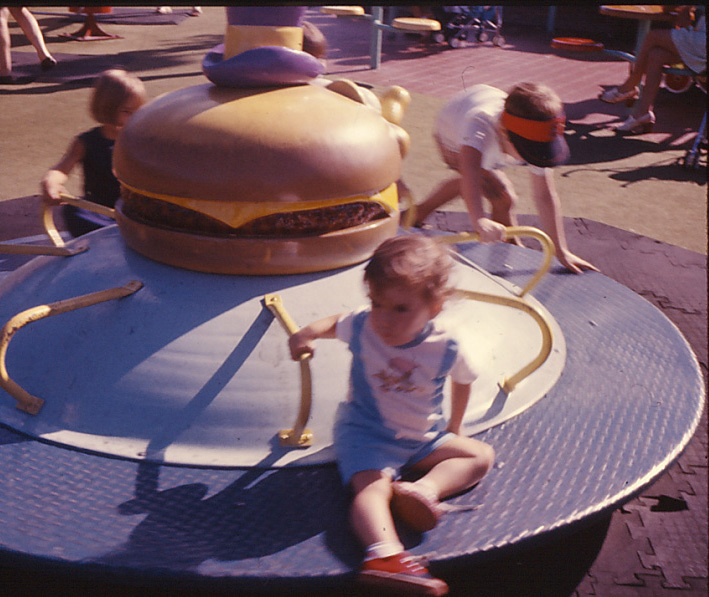 What a flashback, I remember flying off the spinning hamburger, what a hazard! 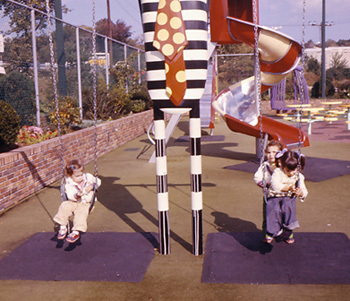 That play land was from the great days before lawsuits! I loved that tower! I laughed when I read what you wrote about it making parents powerless to claim their kids because it was so true! 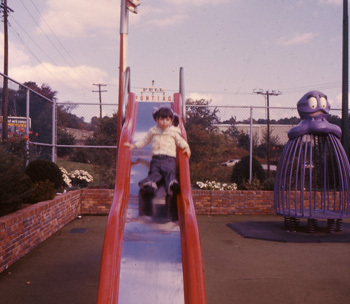 Too bad they had to make the playground so lame – sad for Ky, too.